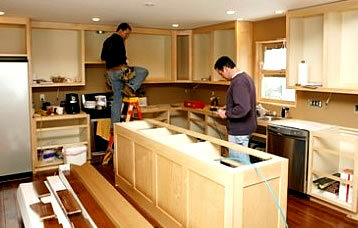 Planning a kitchen remodeling project can be overwhelming even before you begin realizing how complex it really is. The kitchen is said to be the most important room in the house to plan and design. We tend to agree. Lighting considerations, placement of counters, appliances, plumbing, and other elements is only part of the challenge. But, oh how worth it, it is when completed! 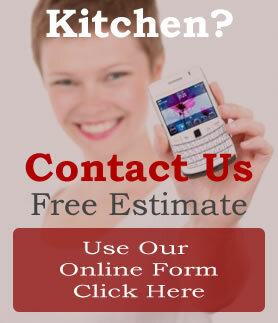 No matter what stage you are at in planning and implementing your kitchen remodeling project, be sure to contact us so we can help make it easier and provide the most ideal solution to your needs. 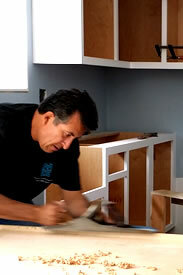 We make the process easier for from start to finish. With our years of experience, we offer insight to needs you probably wouldn't think to consider. We address the technical challenges explaining and handling aspects that most customers get lost amidst only to discover that they come with the territory. Kitchens like bathrooms are the two rooms in your home that are the most requested to remodel and the most specialized needing care at every step. Because of our commitment to be full service, we take the time to understand your needs, preferences, lifestyle, and priorities so we can narrow down your daunting list of choices and work with your schedule. We'll explain the pros and cons of each choice available allowing you can make informed decisions. We go a bit further, offering custom cabinetry at affordable prices and recommending and explaining maintenance requirements, such as which choices are easier to clean or stay clean so all the variables that are important to you may be considered. This will afford you the knowledge in advance of what to expect for routine care.